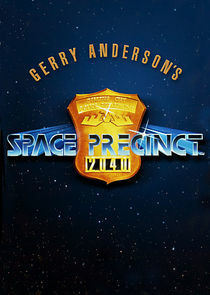 Space Precinct, also known as "Gerry Anderson's Space Precinct" is a British-American television series that was broadcast from 1994 to 1995 on Sky One and later on BBC Two in the UK, and in first-run syndication in the United States. Many US stations scheduled the show in late night time slots, which resulted in low ratings and contributed to its cancellation. The series was created by Gerry Anderson and was a mix of science fiction and police procedural that combined elements of many of Anderson's previous series such as Space: 1999, UFO and Thunderbirds, but with an added dash of Law & Order and Dragnet. Anderson was executive producer with Tom Gutteridge. One of the series' directors was John Glen, who had previously directed five James Bond films. The series was one of the highest-budgeted shows Anderson produced, and was relatively popular in Europe. However, in a repeat of the situation that UFOencountered 25 years earlier, American broadcasters were uncertain what to make of the series that looked on the surface to be aimed at children, yet featured adult-oriented storylines and was usually played straight despite the bizarre storylines and make-up. As a result, Space Precinct was often scheduled in late-night/early morning time slots. It failed to generate sufficient American ratings for a second season to be authorised.